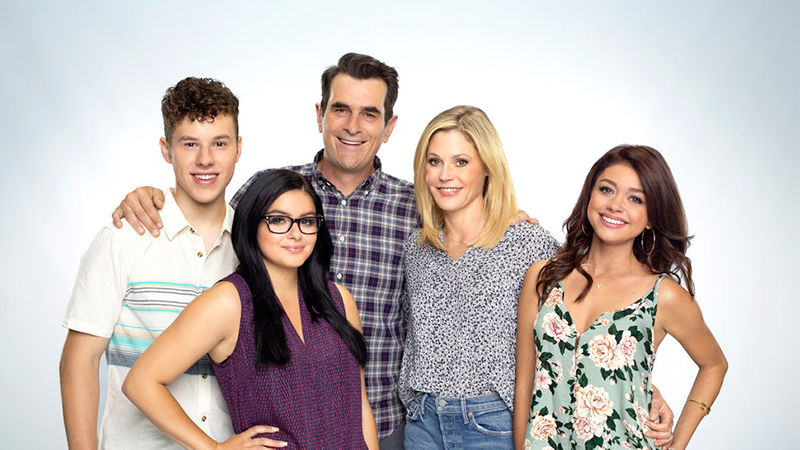 TVLine brings word that ABC’s award-winning comedy series Modern Family has been renewed for an 11th and final season. The announcement came from the network’s president, Karey Burke, at the TCA press tour. Burke promised that the final season of Modern Family will feature “more milestone events” that long-standing fans will not want to miss. Told from the perspective of an unseen documentary filmmaker, the series offers an honest, often-hilarious perspective of family life. Parents Phil and Claire yearn for an honest, open relationship with their three kids. But a daughter who is trying to grow up too fast, another who is too smart for her own good, and a rambunctious young son make it challenging. Claire’s dad, Jay, and his Latina wife, Gloria, are raising two sons together, but people sometimes believe Jay to be Gloria’s father. Jay’s gay son, Mitchell, and his partner, Cameron, have adopted a little Asian girl, completing one big — straight, gay, multicultural, traditional — happy family. “For 10 years, our characters have bravely faced turning points in life and moved through them to great personal enrichment,” remarked co-creator and executive producer Christopher Lloyd in a statement, before adding in jest, “We have chosen a different path by doing one more season of ‘Modern Family,” said fellow co-creator and EP Steve Levitan. Modern Family has won the Emmy for Outstanding Comedy Series for five consecutive years. It also won a Golden Globe in 2012 for Best Television Series – Comedy or Musical. Modern Family this season is averaging 5.1 million total viewers and a 1.4 demo rating, down 10 and 15 percent from Season 9 but still ranking as ABC’s No. 2 comedy and No. 4 series overall. The post ABC’s Modern Family Renewed for 11th and Final Season appeared first on ComingSoon.net.